(Erie, PA) - The Erie SeaWolves, Double-A Affiliate of the Detroit Tigers, have unveiled their team identity, logo and on-field caps and jerseys for Minor League Baseball's Copa de la Diversión series. During four games at UPMC Park in 2019, the SeaWolves will be transformed into the Erie Piñatas as part of a celebration of Hispanic/Latino culture and fans in the greater Erie region. The alternate identity was inspired by team owner Fernando Aguirre's childhood playing baseball and celebrating with family and friends in Mexico. Each Piñatas game day will feature Latin music, distinct food and drink offerings, high-energy traditions and colorful caps and jerseys. 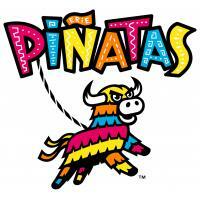 The Piñatas logo, along with the on-field jerseys and caps, were designed by Louisville, KY based design firm Studio Simon. 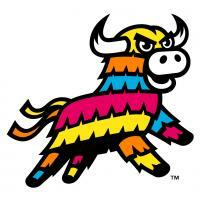 The campaign kicks off on Cinco de Mayo, Sunday, May 5, as the Piñatas take on the Cangrejos Fantasmas de Chesapeake (Bowie Baysox) at UPMC Park at 1:35 p.m. Additional Copa de la Diversión dates at UPMC Park include Tuesday, June 18, Sunday, July 28 and Tuesday, August 13. Erie Piñatas apparel and on-field caps are now available at the SeaWolves Team Store at UPMC Park and online at SeaWolves.com. Opening Night at UPMC Park, presented by Plyler Entry Systems, is Friday, April 5, 2019 against the Trenton Thunder (New York Yankees) at 6:05 p.m. Single game tickets are on sale now. For ticket packages or group and hospitality information, call 814.456.1300 or visit SeaWolves.com.